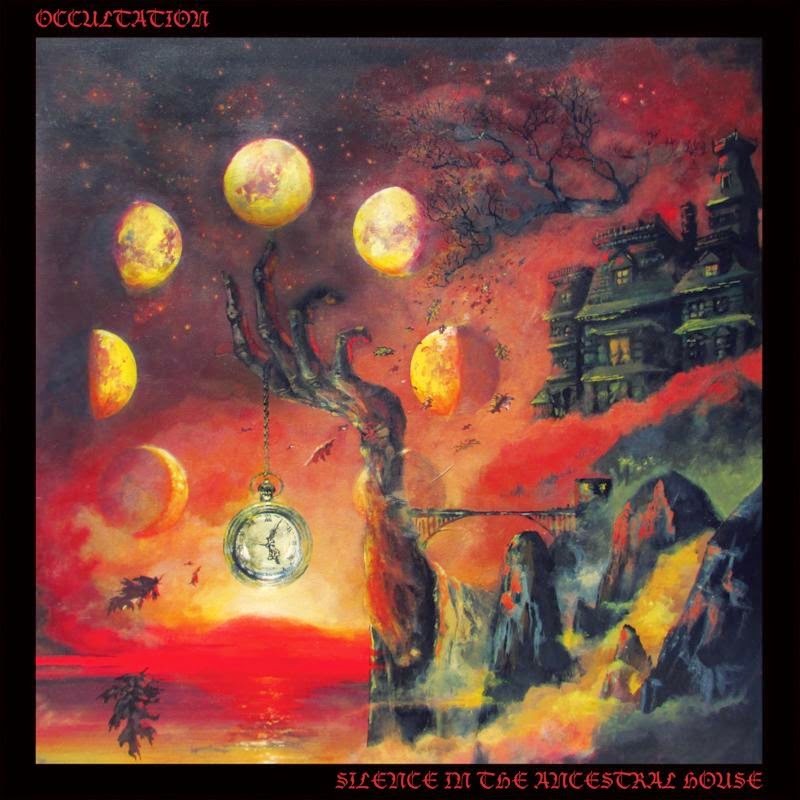 The apparition known in physical form as OCCULTATION materializes with its second full-length LP,Silence In The Ancestral House, expanding on the twisting, malformed post-punk and cast-iron dark doom first revealed through its Three & Seven debut. 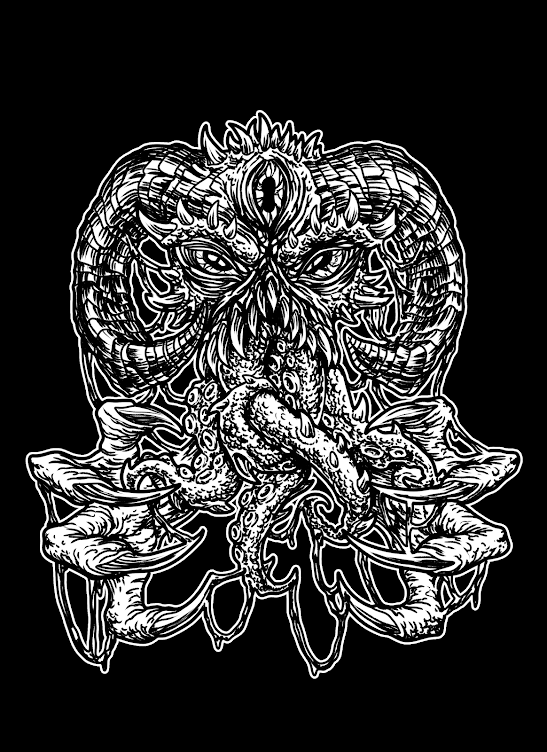 Under the light of the moon, OCCULTATION creeps, crawls and crushes like a many-tentacled abomination using seductive power and hypnotic conjuring on the nine curses contained within. Captured from air in a far more powerful and convincing manner than ever before by Kurt Ballou at God City Studios, the band strikes a mood both sombre and grim, reflecting a contorted, wrecked expression in a cracked mirror through eminently listenable heavy metal sorcery. Following its release through Profound Lore Records, 20 Buck Spin through the mist unveils the waxen edition of OCCULTATION's Silence In The Ancestral House for the North American market, which includes the fantastic visual interpretation by Adam Burke on both the cover and the included poster. When ordered direct from 20 Buck Spin the LP comes on gold/black with red splatter, translucent red, and black variants, all includeing a poster and immediate download. Orders can be placed now at THIS LOCATION. OCCULTATION can be witnessed live at Brooklyn's Saint Vitus Bar on March 22nd with Dispirit, and at this year's Treefort Music Festival in Boise, Idaho March 25th through 29th with Wolvserpent, Kowloon Walled City and many others, with additional performances to be confirmed.